Slogging my way through a field of stickers on this hot summer morning and keeping an eye out for rattlesnakes, I come upon the ruins: massive granite blocks sliding into decay. I am at the site of one of the first wineries in California, where graceful stone arches mark the site of wine cellars a hundred years old. From a photography standpoint, the place oozes photogenic qualities. My photo workshop folks would delight in the place. The place should be a national monument, a pilgrimage destination for anyone interested in California wine history. However, workshops and pilgrimages here may never happen. Why? Because access to the ruined wine cellars, which is on public land, is over a strip of land only a few yards wide that is privately owned, and those owners are notorious for keeping folks off their property. I am always on the lookout for great locations to visit with my workshop students. But logistics and permissions are often daunting. 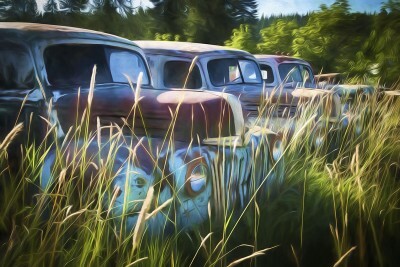 Last summer on a private lot, I discovered a graveyard of about 80 rusting cars and trucks from the 1940s. 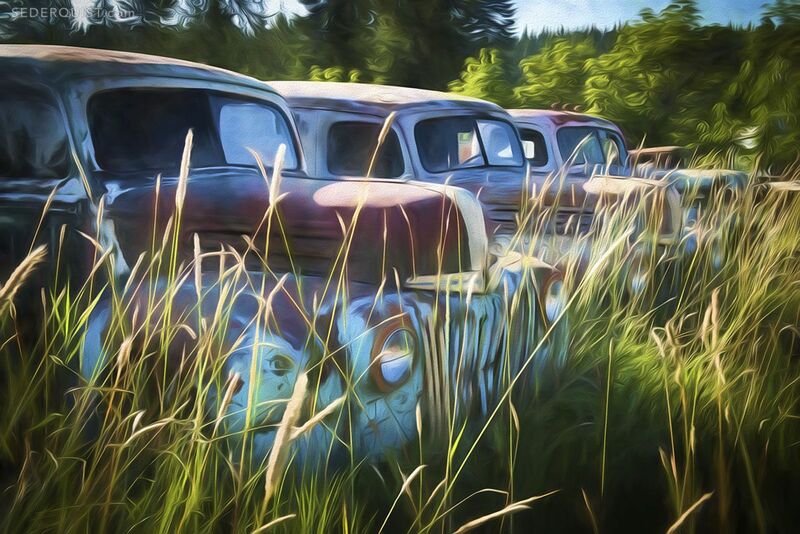 Texture, peeling paint, weeds entwined in broken windshields all abounded. Although I was allowed to take a few photos, I asked the owner about bringing a small group there. “Absolutely not,” was the reply. End of story. A few years ago through a friend of a friend I tracked down an abandoned general store in northern California. The building, in a tiny town, last operated as a store in the 1960s. It was crammed with all kinds of fascinating memorabilia: three player pianos, slot machines, dozens of moth-eaten stuffed deer heads on the walls, strange bins of dolls, photos and newspaper clippings from the 1906 San Francisco earthquake, still-full cans of beer, ancient calendars…the list goes on. Although in this case the owner would probably let people in, security in the old store is almost non-existent and the teetering piles of objects are fragile, hence, no workshop. For my workshops, I try to do everything by the book. In these libelous times it’s impossible to be too careful. Although all my participants sign waivers, even that is not enough. Conditions may be dangerous or precarious for both artifacts and participants. Property owners—for good reason—may not want strangers on their land. However, it’s too bad that we have to let these opportunities go. Fortunately, we have our state and national parks and (less visited) national wildlife refuges, national forests and Bureau of Land Management lands. Treasure those special places. Sometimes that private-property photo op is just too tempting. No matter what, ALWAYS ask permission first. May common sense prevail.